CSE Australia is a proud partner of the Orion Network, which is why we are excited to inform you that the network will embark on the next phase of its network expansion plans. 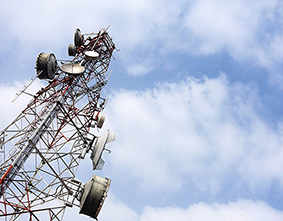 The expansion includes roll out of Motorola Solutions DMR Tier III Capacity Max technology Australia wide to meet growing customer demand for radio voice and data services. Capacity Max is the latest extension to the Motorola DMR portfolio. The Orion Network, established in 2010, is the largest commercial two way radio network in Australia. Operating Motorola DMR around Australia in critical business environments such as airports, ports, stadiums, major events, local government and transport sectors. The Tier III expansion will help meet demand for outdoor and indoor location services, data integration applications and business compliance tools. “Our strategic partners and customers are keen to take advantage of the additional Orion products and services provided by our investment in Motorola’s 3rd Generation DMR system and terminal offering,” added Martin McLeod, Director and partner of the Orion Network. The Orion Network DMR Tier III solution includes planning, optimisation and implementation services together with hardware and software services across the network, as well as a multi-vendor compliance program to ensure subscriber terminal access is ‘fit for purpose’. Motorola Capacity Max is fully compliant with the DMR Tier III mode of operation and supports a wide range of added value features to support customer needs across different markets. Roy Rowe, Director and Orion partner adds “As well as increasing the capacity of network services and technology advancements, we are at the same time increasing the foot print of the Orion Network across Australia adding more capability to deliver truly national coverage to our customers operating in metro and rural precincts across all sates and territories”. The Orion Network is owned and managed by CSE Crosscom, Gencom and Mastercom.